"She was weak and hence she became a victim of abuse..."
These were the shocking words uttered by Minister of Women in the Presidency, Susan Shabangu, on Tuesday night’s eNCA’s weekly investigative current affairs program Checkpoint. 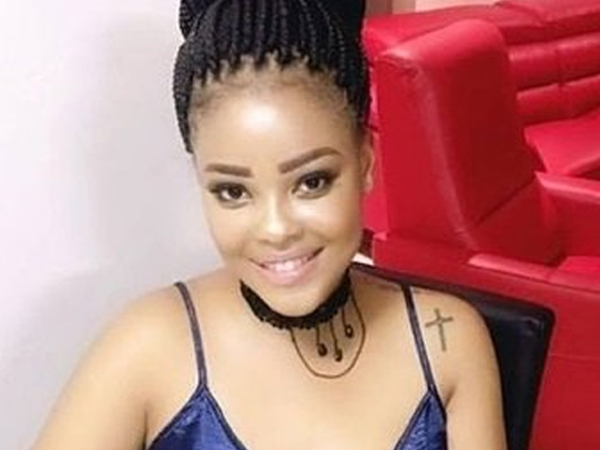 The episode focused on the late 22-year-old’s family, which is grieving her death, allegedly at the hands of her boyfriend, Sandile Mantsoe. “She was weak and hence she became a victim of abuse. As she tried to deal with her situation in sharing it with other abused women, she ended up being a victim of abuse,” said Shabangu.At Mokoena's funeral on Friday, Social Development Minister Bathabile Dlamini was one of the speakers. "Our children are growing up in a different time than we did. They love money. Our children are materialistic. Our children can't see when they are being abused psychologically, emotionally," she said in her speech. "Once someone abuses you emotionally, they break you. You are finished. It lowers your confidence," Dlamini said. Her burnt body was found by police in a veld in Lyndhurst, Johannesburg on April 29 after she was reported missing the day before. She called her mother on April 28 whispering that she could not talk. It was reported that the couple had had a fight the morning before the young woman had disappeared. They were reportedly seen on that Friday morning entering his Sandton apartment and then he was seen leaving shortly afterwards, wearing a different set of clothes. “This policewoman said she wanted to see me alone in the other room… she told me that Karabo is no more. I cried, I cried.“It was like I had a hole in my heart.”The family was taken to the scene and Lolo insisted on identifying the remains.“I did not care that she was ash to ash, I wanted to see my daughter. We did not see her in the drawer, it was like a screen, I could see her toes, I know her toes, she had red cutex," she told Checkpoint.